St. John's city council has unanimously endorsed a tentative deal with Danny Williams to relocate the Manitoba Moose, although the city is keen to set limits on its financial exposure. "We are not prepared to subsidize hockey with taxpayers' money, and this agreement will reinforce that and this agreement will endorse that," said Mayor Dennis O'Keefe Thursday afternoon, shortly after council approved in principle a plan to set up an American Hockey League franchise at Mile One Centre. Council has poured millions of dollars into the money-losing stadium over the years, although it has managed to lower the annual operating budget. In past years, council even tried to become the operator of a hockey franchise, notably a failed bid in 2005 to acquire a major junior team. Coun. Danny Breen, who chairs St. John's Sport and Entertainment, said those days are well in the past. "We wanted to minimize the risk of putting taxpayers money into this," said Breen, who has emphasized that the city's relationship with any hockey franchise will be as a landlord. Williams will operate the as-yet unnamed team, which will be owned — at least for now — by True North, which is moving the Atlanta Thrashers to its home city of Winnipeg, pending ticket sales and formal NHL approval. Mile One opened in 2001, largely to satisfy the Toronto Maple Leafs, which felt that the old Memorial Stadium by Quidi Vidi Lake was too small for its farm team. The St. John's Maple Leafs relocated to Toronto six years ago. With the city taking less risk, it stands to recover its operating costs through increased food and beverage concessions. If the AHL team fills the approximately 6,000 seats at Mile One, the lion's share of the profits will go to Williams, as the franchise operator. 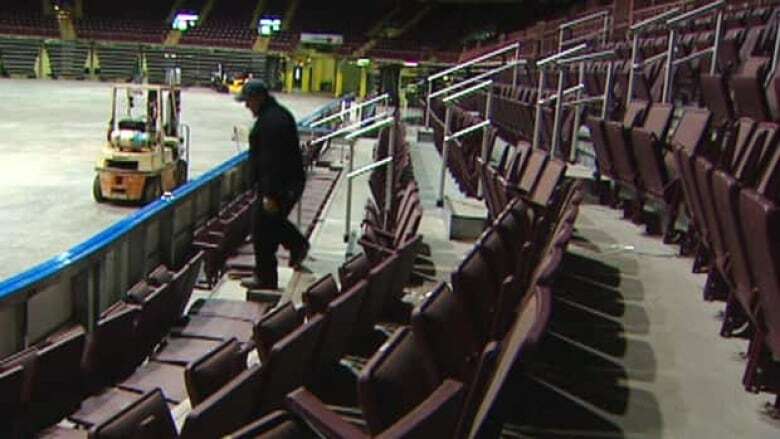 Williams worked out a tentative deal with St. John's Sports and Entertainment this week, after being rebuffed last week by the Newfoundland and Labrador government over a request for $500,000 to subsidize travel expenses. The rejection added fuel to speculation that Williams has fallen out with the Progressive Conservatives he used to lead. Terry French, the minister responsible for sport, said the government's decision — which it said was based on a policy of not subsidizing professional sports - had nothing to do with the man behind the proposal. "This really wasn't about Danny Williams," French said Friday. "I believe in every ounce in me that the team is in great hands with the leadership of Glen Stanford and Danny Williams. So it certainly wasn't about Danny Williams."